Eating on-the-go can be a bit of a challenge when you have to use cheap, plastic utensils. 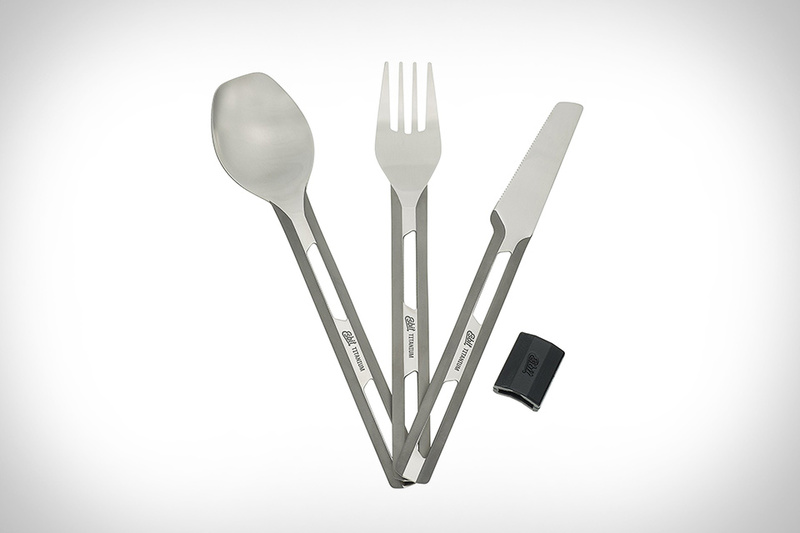 But there's nothing challenging about Esbit Titanium Camp Cutlery. Esbit has been making stoves and cookware for more than 75 years and adds to their utilitarian line with this great set of cutlery. Included is a fork, deep-bowl spoon, and serrated knife. All are made from 100% durable, lightweight, heat resistant, strong, non-corrosive titanium with no metallic taste. Easy to clean and transport for your next camping trip, each utensil is full-sized and the set includes a silicone sleeve to keep things together when you aren't using them.